1. Can you tell us something about your hometown and growing up? Ans: Thanks for your kindness that you have afforded me an opportunity for the interview. I was born into a poverty stricken family in a village, Saib, Sub Division Gujarkhan District Rawalpindi, Pakistan on November 25, 1960. We lived in a house made of stone and mud, but well maintained by my mother. I was brought up in a pastoral atmosphere very close to nature. Now modern facilities have changed the region a lot but when I was a child our village was surrounded with the thick forest which was a source fuel wood, besides grass it provided for the cattle. When spring used to come, wild trees and plants blossomed; the sweet scanted airs made the atmosphere heavenly. Crops were the major source of income of the farmers for they sold grain in the grain-market at Gujarkhan; camels were used to carry the produce but now vehicles are used. Besides farming there was another profession that the people of the village had to choose for their sons, they got them enlisted in Pakistan Army, where they defended boundaries of the country and many of them were martyred. The plateau of Pothowar got several Nishan-e-Haider: the highest military award awarded for bravery and valor. The people of the village where I was born in were against to educate the women; the girls along with the men-folk worked on the farms and saved money for their dowry by selling grain and groundnuts. They didn’t have liberty to choose their life partner even; they were consigned to the fate by their parents. It was considered insolence if any damsel of the village expressed her likeness or proposed to the parents for the spouse, she had to accept with silence what was decided by the elders. It was the most pathetic scene to see them walking stooping with the bundles of green mowed grass or the big bundles of wheat being gathered to be thrashed, upon their backs. I regard them the uncomplaining, forsaken, patient and unsung heroines ever discovered in the history of pastoral environments. In childhood I too collected fodder and fire wood, grazed cattle, ploughed farms and while cutting grass and splitting wood many times I got myself injured. I ever hated dirt; when I was four or five years old, sometimes, I slipped stealthily out of the home and used to sweep streets of the whole village and in response I was taunted and beaten for the crime of cleaning the world. I had a deep attachment with the pet-animals and cattle, when anyone of them died I used to remain depressed for many days, till time slackened the profundity of pain. Once we had a black dog, and we all of sudden found it missing, we all searched for it but in vain, after a week its dead body was found in the farm being prepared for the crop of wheat. It happened so that one of my uncles who used to plough had forgotten to bring back a rope from the farm that was used with the hooks of a plainer, and the dog had been on the watch and at last it was starved, the whole family grieved on the event as if a member departed from the family. I got several experiences that show that the animals too have the feelings of pain and pleasure and I want to share with the readers. Once I led my cows to the meadows to graze, often their whelps remained at home and in the evening when the mother-cows returned they were loosened to be fed with milk. It so happened that one of the mother-cows fell into the ditch and despite hard struggle we couldn’t save its life and it died soon after. All the other cows returned in the evening except one that fell into the ditch and died, the other cows came around the orphan whelp and licked it with affection and when it found the mother missing, I noticed it weeping, it was shedding big, big tears onto the ground. However, I enjoyed myself during this visionary period playing with the vivacious friends whom the callous tides of the time had separated from me. We played in the yards surrounded by the low walls. My parents were going through very hard times, on the first day when I was sent to the local school I was bare-feet, I had a wooden slate in my hands and a satchel on my back. I remember later on my younger brother and I were given a pair of slippers that we used to wear alternately while going to and coming back from school on hot afternoons. I was never beaten or scolded by my father but my mother beat me once when I played truants from the school, then I never absented myself throughout my educational career and God bestowed me with a great success. Injustice and violence, even to the animals and plants, always perturbed me. The vicinity I was born cared least for human life; weeping and wailing of the women during my early childhood upon the frequent murders stunned me into a state of frenzy. The first composition was an illegible letter which I wrote to my father at the age of six who was working at Askardu beside the border of China: (He had a jeep and drove between Askardu and Gilgit). The letter was about the two murders in the locality, an old man and his young son were killed by the robbers just for Rs.4000. I neither was provided with an envelope to post it, nor was told the address of my father, therefore, it remained un-posted. 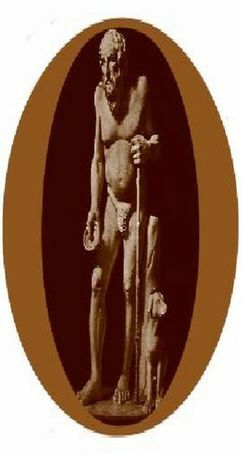 Constant labour of my parents and other members of the family changed our financial conditions; they took more and more interest in my education, whereas my other two brothers the elder and the younger were reluctant to continue their education. After going though the primary standard at the local school I was sent to Govt. High School Mandra where I always remained at the back of the over-crowded classes to avoid coercion exercised by the teachers upon the children. They were interested in everything except imparting knowledge to the students, even then I had a lot of regards for them, they weren’t scholarly teachers, they were simple and they often asked the students to bring eggs, flour, groundnuts and butter and they happily obeyed to avoid the impending punishment and set up friendly terms so that they might be promoted to the next grades without being assigned any test. My father served in Pakistan Army, then after retirement Govt. Transport Service, then he worked for sometime at Askardu and finally in Civil Aviation Authority, at Islamabad Airport. Before he was murdered in 1990, he worked at ATC (Air Traffic Control). 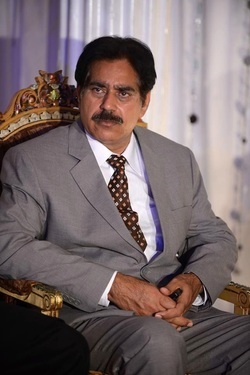 During his stay at Islamabad, he kept me along and I studied there in Rawalpindi and passed F.A, B.A, and M.A English Literature while living there at Islamabad International Airport. When I was at leisure, it was my habit to rove in front of the International Arrival or Departure and whenever I saw Englishmen or women I tried to converse to them with faulty expressions, and often I was encouraged, they made corrections and sometimes I was shunned, but the craze of learning English always gripped my mind. While living at Islamabad International Airport I planted nine poplar trees which later on grew gigantic, sky kissing, whenever I visited the spot they brought into my mind the memories of those days but they have been removed as expansion of the airport required so. Most of the financial sources and time of my family consumed on litigation, I remember it was the weekend, on 25th March 1990, a dispute on a piece of land started which resulted in the use of fire arms from both of the sides, a bullet hit on my left thigh that went across lacerating, I was injured and in the same state I walked three miles on foot and reached the police station, the rival family was very influential, the police didn’t registered the case, rather they registered the case against us, and I had to remained in the lockup for many days, later on a compromise took place, but again the same issue claimed the life of my father. Though I never like to see anyone in trouble, even the animals, flies, rodents and reptiles, yet I have three legal weapons with me: AK 47 Russian Kalashnikov, 7mm rifle and 30 bore pistol, just for the protection of my family for I live in the society wherein wolves move in the form of human beings. It is very hard to get justice here, my elder brother on one hot day of the June, fainted in front of the court, later on he was taken to home and he expired on 23rd June 2009, he had come to attend the court to seek justice. Initially I served for three years as constable (1319/c) in Police Department, I had to go through a very dismal mental strain while being there, later on I got the opportunity to be Lecturer in Education Department, at present I am Associate Professor and render my duties on an administrative post at Directorate of Education (Colleges), Rawalpindi Division. 2. When did you publish your first book and how did the success follow later? Ans: My first book “The Cold Stars” was published in 1998, mostly the poems published in it were about recollections of my early age. I don’t know when and why my mind skipped from recollections to social themes and then global issues, in most of my poems I dealt with the theme of war and bloodshed in the world. I participated in the international poetry contests and met tremendous encouragement, won prizes and titles, later on Jeff Humphrey from U.S.A, gave me the title of “Poet In Residence” and displayed me at www.voicesnet .com and I also worked for the Voices Net Work for ten years as one of the poetry judges of international contests, the counter exhibited that I judged poems more than two hundred thousand during the span of ten years. There I had an opportunity to judge the standard and read the work of international writers and it helped me a lot to determine my direction for future. At the same time I kept continue my own creative work and went on compiling it and at last published my book consisting of 250 poems “The Dance of Darkness” in December 2014. During these times I uploaded my poems on international portals and got incredible appreciation from all around the world. I also wrote a book of rhymes for the schooling kids which was awarded by Govt. of Pakistan. 3. The true purpose of art is to uplift humankind, inspire reverence and morality, and instill in people’s hearts a true sense of beauty? Ans: Nothing is more beautiful than the human beings; nothing is fairer than the planet Earth, I regard the poets, writers and artists intellectual leaders, they were in the olden times regarded prophets and makers. The poets, the writers and the artists present better image of the world than that of that exits, by using words and colours. 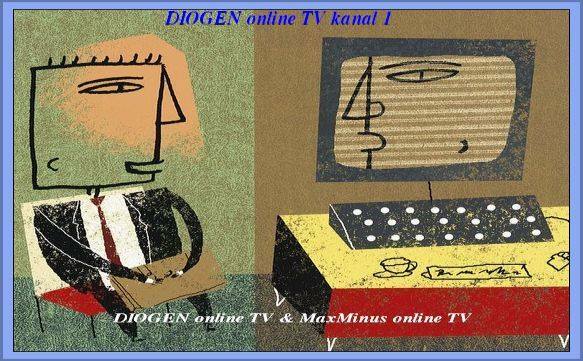 Men of letters refine minds of the readers and refined minds have odium for absurdities and ugliness. It is heartrending tragedy that the world is being ruled by the powerful characters, most of them are devoid of wisdom and compassion required to tackle with the issues of the world and they don’t bother opinions of the men of intellect and this is the major cause of turmoil in the world. Living conditions of the world will improve more when the voice of the men of letters and artists shall be heeded and the study of literature and art will be given preference. Men of letters and arts shape and mould minds of the readers, they refine their taste and the world needs men and women of refined taste who may promote brotherhood, tolerance, harmony, humanism and peace in the world. Even most of the scientists who devoted their lives for battement of humanity, they worked in the general compassionate attitude for collective humanity. Poetry and art inspire reverence for humanity; they not only show the dignified path of beauty but also motivate to enhance the existing beauty of the world. 4. Writing poetry with specific philosophy behind it and romantic, amorous feelings or existence? Ans: Anyone may defy what I say about love but it is the universal realty that love is most beautiful emotion; it is the core essence of life. It has multidimensional aspects, it may exist among lovers, among parents and children, among friends etc. but all emotions have their specific fragrance which cast impacts on human activities and make the life colourful. You might have felt that I wrote a few poems on love; it isn’t that I have some apathy for the theme of love; I am a human being and possess a human heart. But at present human life is under threats, under the shadows of nuclear weapons, I think our generation mustn’t live in apprehensions and fears, my poetry is a siege around the loving residents of the world; that is why I write poetry with the specific purpose to make humanity aware of the fact “A single drop of human blood possesses more worth than all treasures that the Earth contain”. I know I can’t drag the whole load yet I am rendering my share. I want to see the world free of weapons, whether they are nuclear or conventional. 5. Stories that create compositions full of sensuality, sometimes disturbing but always full of charm have the feelings of pain and pleasure? Ans: Function of stories, fictions, plays and poems is the same and that is to stir conscience of the reader, to promote sense of differentiation between right and wrong, fair and unfair, beautiful and ugly. But to narrate event in the form of poems is the most striking and concise method to achieve the desired results. In most of my poems, in fact fictions have been narrated in poetic style and diction, as the reader begins, they grip his mind, and with each line his suspense grows and last line or the last word shows him the unexpected picture, everything goes against his assumptions, just like a rider who runs his horse at a gallop on the straight smooth route, suddenly an unexpected turn comes and the horse takes sharp turn throwing the rider away. 6. Contemplation on Consciousness of Life? Ans: In the strict sense of psychology, I have little knowledge of consciousness and sub-consciousness, these are heterogeneous states of mind and both of them work turn by turn, when consciousness is latent sub-coconsciousness works but mind keeps functioning in both states. It never takes rest, it relaxes when the state of mind changes. Thoughts emerge spontaneously from within, or they descend in the form of waves that the mind catches them, the powerful minds catches the distant waves of thoughts. Thoughts that surge up from within, take birth from sub-consciousness, then they appear in the zone of consciousness and finally they become the object of deliberate contemplation and then contemplation leads to conclusion and final reality. When a poetic thought puts on a proper costume, it has to pass all stages of sub-consciousness, consciousness, contemplation and then expression. When any poetic idea strikes my mind, I don’t express it instantly, I keep in my mind, the mind keeps working on it for some time, before it gets maturity, it is shaped and reshaped time and again and finally gets expression. Mind broods thought just as a bird hatches an egg, and finally a chick comes out. 7. What can you tell us about your work, prizes, journeys and friendships? Ans: During my poetic career the literary achievements and awards I have been given are ‘Promotion in Children Literature by National Book Foundation Islamabad’, ‘Resident Poet awarded by Voices Network, North Carolina U.S.A.’ ‘Judged for 10 years poems in the international poetry contests hosted by Voices Network, North Carolina U.S.A.’ United Poet Laureate International by 22nd World Congress of Poets, Larissa, Greece’, ‘The International Best Translator Prize 2012, awarded by International Poetry Translation and Research Centre, China’, ’The Best Poet 2012 by The World Poetry Movement U.S.A.’ ‘One of the Board of Directors of Galaktika Poetike ATUNIS, Albania’, ‘President of the Jury constituted for international award “Frang Bardhi Prize 2013’, ‘Member of the International Writers and Artists Association U.S.A.’ ‘Poeti Dal Mondo (Poet of the World) By Margutte, Italy’, ‘Member of International Poetry Translation and Research Centre China’, ‘Naji Naaman’s Literary Prize 2015 by FCG Foundation for Gratis Culture Lebanon’, and ‘Poet of The Month (July 2015) by The World Wide Web’, and at present The World Union of Writers for Culture, Ecology and Peace nominated me its President in my own country to work for peace and harmony. I have been published in several world anthologies and literary journals. Besides, I have been invited to participate in the international poetry seminars and festivals, till now I have never travelled abroad for I was passing through the first phase of my career, I mean I preferred to compile my work and didn’t care for international journeys, now the second phase is about to commence, I shall have to participate in May 2016, in the Pentasi B World Poetry Friendship Celebration Ghana, it will be hosted by the several organizations and I shall be given away the award ‘The Universal Inspiration Poet’. 8. Do you think you have outwitted the expectations? Ans: Had I been born in an English speaking country, these achievements might have been very normal to me as well as to the readers; to decide whether I have outwitted the expectations or not, just read the statement which has been displayed on my page at Galaktika Poetike ‘ATUNIS’ from Albania, “A boy of Non-English speaking country who was brought up in the pastoral atmosphere of Pakistan, grazed cattle, cut wood, ploughed farms, learned alphabets of English at the age of 10, how he got place among the leading English contemporary poets, read his autobiography”. Thanks God, most of the international literary portals have placed me among the great literary figures of the history, though I couldn’t expect such a success as narrated yet now I feel my expectations have been outwitted. 9. How do you manage all that with so much work that you do? Do you have time for yourself? What inspires you? Ans: I don’t take stress of my assignments; I move on smoothly with slow and steady moves but very cautiously determine priorities of my activities. I mange online activities, writing of reviews, poems and translation work at night, I often work till 12 late at night, I don’t sleep more than 6 hours, early in the morning before going to the office I may utilize an hour again. Saturdays I partly spend with my family and partly for the pending activities, all members of my family take care of me, their help enables me to carry on the stupendous assignments. As far as inspiration is concerned, nothing inspires me, except someone’s intellect and moral conduct. I care least of the social or political figures who enjoy themselves power and pelf. 10. What are your plans for the future creative work? Ans: Till mentally I feel myself healthy, I shall devote my time for the creative work, I don’t believe in presenting stereotype ideas, I feel poetry is the best means to influence the people and change their minds, instill in them the sense of peace, brotherhood, tolerance and harmony, in future too I shall move on with the same pace, I mean write poetry to disburden the load of my heart and mind. 11. Muhammad Shanazar’s career in a few years? Ans: I was born as a shepherd boy, educated in the most miserable plight, worked for three years as a police constable, got an opportunity to teach at college level, wrote poetry and finally have been recognized around the globe. 12. Is there anything that you could pinpoint and tell us about yourself between the dream and reality? Ans: I would like to share with the readers the mind baffling experience that I went through, I don’t bother someone regards me lunatic or abnormal. Existence of Man is much more complex than it is often assumed or thought, it has much more inexplicable relation with the cosmos, time and space in which Man exists rather than apparent links with sub-consciousness and consciousness. Many times I felt my inner-self detaching from my physical existence, with all consciousness and flying into the distant zones of the cosmos, might be speedier than the speed of light and whatever I saw I wrote in several poems. Then I felt returning of the same being, entering into body from the side of feet with the titillating sensation and then I used to feel coming into total consciousness. I have planned to share these experiences with the world in future in detail, I shall narrate them in a book titled “Voyages and Visions” however the readers who want to read may read them in my poems, “The Suspended Mountain, The Seventy Two, A Decision Of Silence, A Longing, The Builders, Sarcastic Remarks, The Hand Of Benediction, From The Floating Stag, The Shield, A Trial Of Strength, The Speed, The Shambling Fellow, A Declined Desire, Fleeting Visions, Transparent Waters, Three Suns, The Pansies, The Sermon, The Sepulchral Voices, On Killing Before Birth and Omnipresence Of Breeze”. 13. Have you achieved everything you have ever wanted to and if you could live your life again would you be an artist again? Ans: Thanks to God, He bestowed to me contentment, though I have gone through trials and tribulations yet I am satisfied with my life, I have achieved a lot, the meanings of my name (Shanazar) are ‘a person who is well acquainted with the wealth’ and I have the wealth of peace and contentment. I have a loving family, wife, three daughters and three sons; the eldest son is M. Phil in Artificial Intelligence, the younger is MS in Finance, the daughters are also masters in Literature, Maths and Computer Science, the youngest son is a college going student yet. If I am sent time and again in the world, I shall prefer to be a poet on every turn for the poets are interpreters of beauties and God Himself is the ultimate Beauty and manifests Himself in beautiful objects of the universe. 14. Is there anything you would like to say that you think is important and that I haven’t asked you? Ans: Thanks! You haven’t asked me about some unforgettable incident; a lot of money I earned and a lot of money I spent but I can’t forget the event when a corrupt Head Constable received 500 Rupees while standing beside the mutilated dead body of my father, at Tehsil Headquarters Hospital Gujarkhan, on 30th June, 1990. The Head Constable had been one of my colleagues and was deputed to arrange postmortem, it was the whole amount that I had with me; later on I had to borrow the money to bring back home the dead body of my father. Muhammad, thank-you! 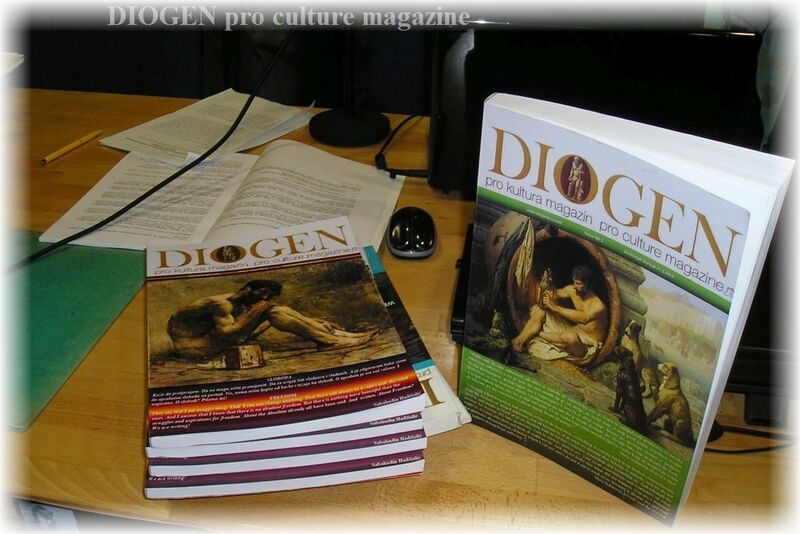 It was a great pleasure talking to you and you are always welcome to our magazine for art, culture, education and science "Diogen pro culture“.